3 construction workers were injured after a steel beam fell 12 stories on a Manhattan construction site last week. 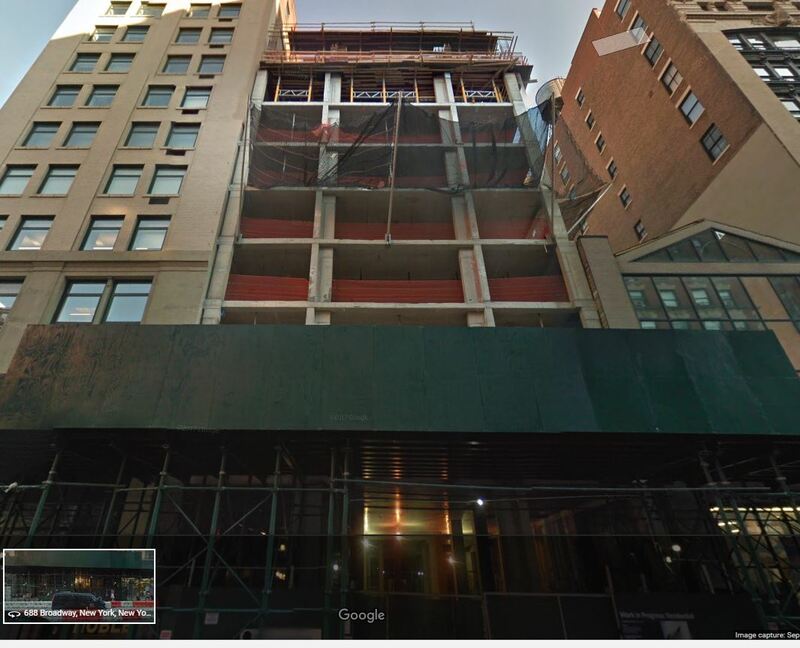 The 3 workers were working on a high-end condo development at 688 Broadway in Noho (see picture). The condo is also marketed as “1 Great Jones Alley”. The 3 workers were hoisting a beam when it suddenly fell. The beam first hit the sidewalk shed and then fell to the ground where the workers were located. One of them was hit in the head by the beam and was transported by ambulance to the hospital. The two others suffered minor injuries. The NYC Department of Buildings put a stop work order on the property and issued five violations including failure to safeguard the site. The developer of the site is Madison Realty Capital.